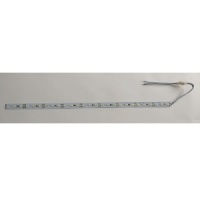 Keep your Aqua One EcoStyle 32 Aquarium in tip top condition with our fantastic range of genuine Aqua One spares and accessories, including heating, lighting, decor and filtration products. Change carbon cartridges every 4 to 6 weeks and rinse sponge cartridges in a little aquarium water, replacing as necessary when the cell structure begins to deteriorate from use. Once a week check your filter pump is running well and that the filter pump impeller isn't blocked with aquarium waste. Always keep an eye on the water temperature and consider buying a spare heater just in case. In any event, do enjoy this great looking aquarium and contact us if you need help or advice. Check that the water temperature is correct and that the filter pump is running well and that water is flowing through the filter media. Ensure the intake / strainer isn't blocked. 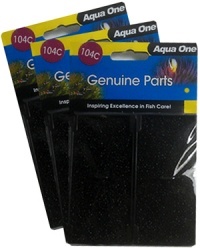 Check that the 104S Sponge Foam Pad isn't clogged and rinse in a little aquarium water if necessary. Every month to six weeks replace the 104C Carbon Cartridge as the carbon becomes ineffective. 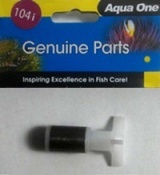 This cartridge cannot be rinsed and must be replaced. Check the filter pump and in particular that the impeller is moving freely and isn't blocked with aquarium debris. Check pipework. It's good practice to replace the 104i filter pump impeller once a year. 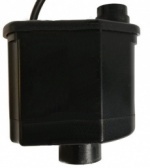 It's worked extremely hard, spinning hundreds of thousands of times and changing this small but essential part will help prolong the life of your Aqua One filter pump. Consider replacing any brittle or loose fitting pipework, especially the Intake Pipe. The EcoStyle 32 is an ideal tank for the beginner and is a great introduction to keeping an aquarium, with the larger tanks suiting more advanced or ambitious fishkeepers. With a beautiful range of matching Inspire Cabinets available to suit every model in the range, it's hard not to recommend EcoStyle to all.